Tregion 0.1 is finally released! What do you need to play the map? Where can you download it? Read it all here! How do you download the map? You can download the map on our forum: https://forum.tregion.net/ There is a download section on the forum where you can find the download. You need to be registered and logged in to access the topic. If you are not registered or logged in, you can’t access the downloadserver. This is to prevent piracy. What download options are there? We have 2 options to download the map. The 1st option is a torrent download. This is the fastest way to download the map. To use the torrent you need a torrent client like bittorrent or utorrent. Please seed the map after downloading! The 2nd option is a download straight from the server but to prevent the server being overloaded, we have put a cap of 100kb/s on that server meaning that the file will take very long to download. It is for the people who don’t want to use a torrent. We warned you. Take the torrent! It is way faster and easier! Which DLC’s do I need for the map? You need: Going east, Scandinavia, France and Italia for the map to work. If you don’t have the DLC’s then you can’t use the map. It will crash! Do I need a new profile for this map? 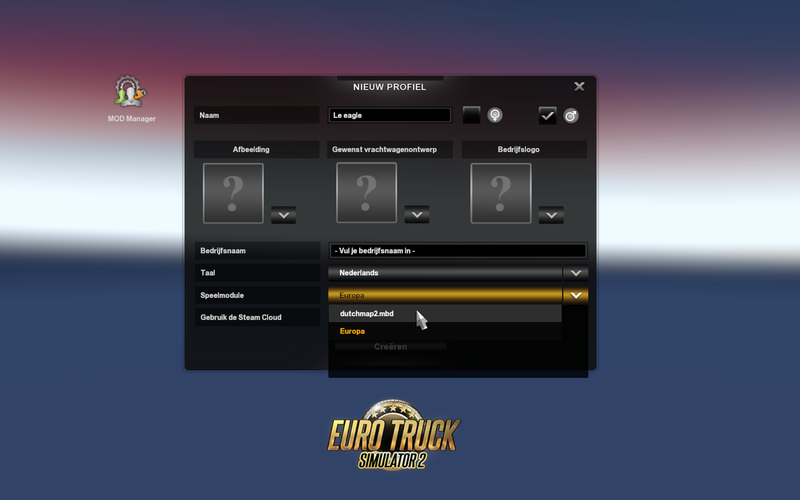 Is this map compatible with ProMods or other Europe map mods? No. The map is on a standalone scale of 1:2 which means that the map isn’t compatible with other maps. How do I run this map? After that, you should be able to play the map! Report bugs in our bugs section on the forum! Which cities are in the map? And last but not least… Feel free to donate! Do you like to support the mappers for their work? Feel free to donate! ← Why do we still not release?